At Dugan & Lopatka, our Audit & Review team provides you with more than a report on the financial statements. we provide you with information that you can use to improve the profitability or efficiency of your operations. Whether you need conformity with Generally Accepted Accounting Principles (GAAP), International Financial Reporting Standards (IFRS) or want stronger assurances that your internal controls are working to protect your organization, we can help. Dugan & Lopatka’s team of highly experienced professionals conduct hundreds of audits annually for organizations including privately-held, family-owned businesses and not-for-profit organizations. When our team performs an audit, we take a deeper dive than just reviewing accounting entries. We delve in to your organization’s activities and operation. Dugan & Lopatka will also learn about your entity and the processes that you go through daily, enabling us to advise you on how to grow and improve your organization. We will also verify the balances of all major accounts and make sure that your financial statements are fairly stated in the accounting manner that is required of you. This insures that Dugan & Lopatka is providing you with a superior financial statement. Dugan & Lopatka has worked with foreign owned subsidiaries for more than 30 years. Our partners and managers deal with international companies on a day-to-day basis. We are a member of INPACT. INPACT Audit is a global association of independent international accounting firms that perform audits of financial statements that are or may be used across national borders. INPACT accounting firms are located in 63 countries across the globe. Financial statement preparation in accordance with International Accounting Standards, U.S. Accounting Standards. Our audits enable us to issue an opinion in accordance with both US and International Standards. U.S., local and foreign tax issues, including transfer pricing, treaty work, entity structuring and foreign withholding requirements. 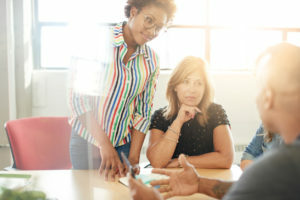 If your business sponsors an employee benefit plan subject to Title I of ERISA, you are subject to annual reporting requirements that may include an audit of the plan’s financial statements. Defined Contribution Plans. For both 401k retirement savings plans that are established by an employer, and 403b retirement plans for employees of nonprofit companies, religious groups, and school districts. Defined Benefit Plans. We also have extensive experience with Defined Benefit Plans, which is another type of employer-sponsored retirement plan where benefits are calculated on factors such as salary history and duration of employment. Post-employment benefits such as salary continuation, supplemental unemployment benefits, disability-related job training and counseling. 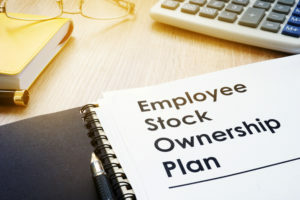 Employee Stock Ownership (ESOP) Plans. The fifth type of ERISA plan Dugan & Lopatka we offer assistance with is ESOP plans. ESOP is a qualified defined-contribution employee benefit plan designed to invest primarily in the sponsoring employer’s stock. Our firm has the flexibility, expertise and resources to handle audit engagements of all sizes. Currently, a global consulting firm with over 25,000 participants worldwide is our largest client. We also serve many organizations which have only slightly more than 100 participants. Dugan & Lopatka is a member of the American Institute of Certified Public Accountants Employee Benefit Audit Quality Center. As a member of the Center, our team receives ongoing training in the area of Employee Benefit Plans, understanding the risks that our clients face with these types of plans. Our people will be both efficient and thorough. We are a local firm with a dedicated team of auditors with low staff turnover which means you reap the efficiency gains of having the same talented audit team working for you from one year to the next. Complete the work in a timely manner — meeting and exceeding your expectations and deadlines. In fact, we will guarantee it. Provide our services in the most cost effective manner, utilizing our expertise and efficiencies gained over many years auditing qualified plans. Do you need an audit or something else? Since 1974, Dugan & Lopatka has been active in the not-for-profit industry. Our CPAs and consultants are always on the cutting edge of industry-related changes. As specialists in the industry, we have experience working with many nonprofit clients, which keeps our team current with relevant assurance and tax-exempt issues. 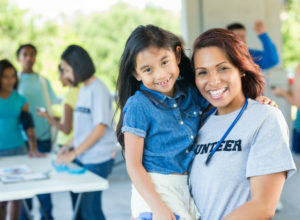 We understand the special accounting, auditing and reporting requirements for your organization and will help you meet these requirements in a timely manner utilizing our extensive knowledge of recent changes affecting nonprofit organizations. We speak your language. Your financial statements and our presentations to your board of directors will be presented in nonprofit terms. The American Institute of Certified Public Accountants (AICPA) bylaws require that its member CPA firms be affiliated with a firm that is enrolled in an approved practice-monitoring program (Peer Review Program). A majority of State Boards of Accountancy have also made peer review mandatory for licensure. A peer review is generally required every three years. Its purpose is to provide an independent review of a firm’s system of quality control over its accounting and auditing practice. Dugan & Lopatka has extensive national experience in conducting these peer to peer reviews. A successful review will offer your CPA firm an independent perspective on the effectiveness and efficiency of your firm’s policies and procedures. Dugan & Lopatka conducts all our reviews with a commitment to technical expertise, quality and providing practical recommendations. A successful peer review depends greatly on a firm’s commitment to quality and compliance with professional standards. We approach the issues you face from a professional, technical and economic standpoint, with the goal of bringing value to the process. We will identify potential weaknesses in your system while offering recommendations and best practices. Our objective is to help you improve your accounting and audit practice in terms of quality and efficiency.